Each week your child will be learning a poem to practice spelling words. They will paste it into their poetry book for home learning on Monday night. During class students will highlight the selected spelling words for the week. Please practice reading this poem aloud each night and practice spelling the chosen words. Students will say the poem aloud on Friday. It does not have to be memorised. 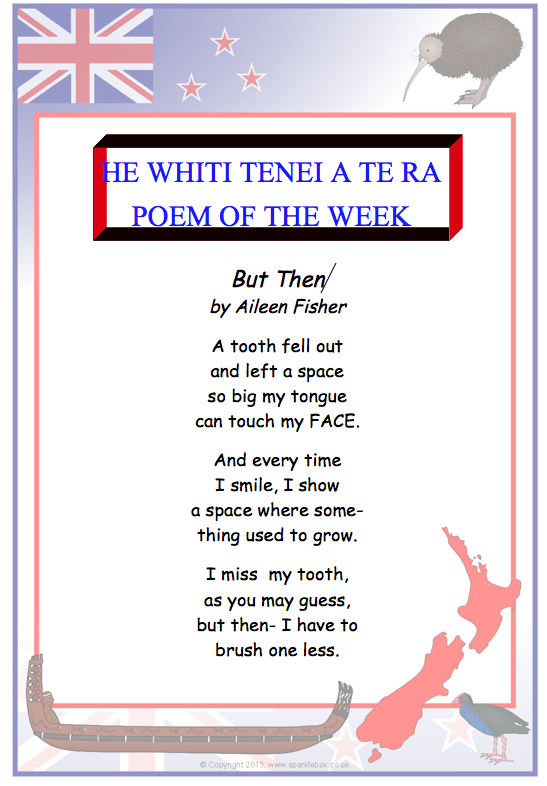 The poem is posted in the classroom where we will read, chant, clap, and perhaps memorise the poem during the week. We will also complete activities that check understanding of appropriate capitalisation, punctuation, spelling or word patterns within the poem and of course our spelling words. Click here to try some of the spelling word activities for this week. 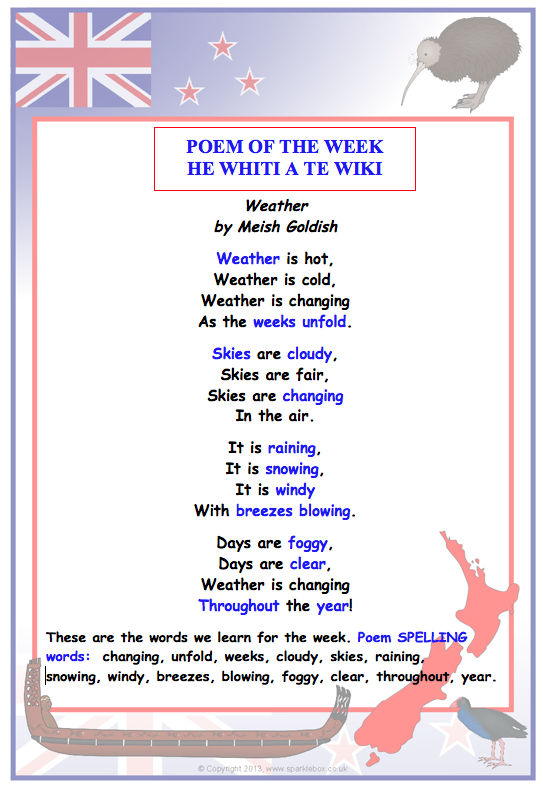 Due to Cyclone Lusi thrashing our shores it seemed appropriate to have a weather theme for our poem this week. Click here to try some of the spelling word activities for this week. A great site to visit. A funny poem.